A puzzle cache requires the finder to solve some type of puzzle at home or in the field to determine the actual hide coordinates. These listings usually start with a disclaimer indicating “The cache is not at the posted coordinates!“. The listed coordinates are usually within a few miles of the actual hide, but the puzzle must be solved to get the actual coordinates. Some puzzle caches do not have an at-home component and can be considered a field-puzzle or an advanced multicache. These require the finder to go to the listed coordinates and find some information in the field to solve the puzzle. This style of hide is sometimes also listed as a multicache. Most puzzle caches have an at-home component that must be solved in order to determine the hide coordinates. After the puzzle is solved the coordinates lead directly to the hide, much like a traditional cache. 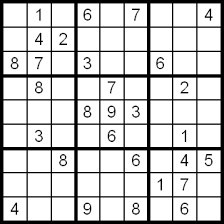 This post will focus on the at-home component of puzzle solving. Some of the at-home variety of puzzles provide complete instructions or are relatively straightforward, based on mainstream puzzles like Sudoku, crossword, word search, or logic. If so, just follow the instructions in the cache listing. If there are no instructions, or they are too vague, read on. There is potentially lots of information and many times only little of it is needed since the most important parts of the listing are usually the name, description and hint but occasionally additional clues are sprinkled elsewhere. Unfortunately cache owners will often sprinkle bits of useless or misleading information to try to throw you off! As you learn and use different puzzle techniques it will become easier to recognize what is important and what is not. When you are trying to solve an ambiguous puzzle or cryptogram, one of the most important things you know is often the listed coordinates. When a puzzle solution contains the entire set of coords (cardinal direction, degrees, minutes, decimal minutes). In that case you’re already one step ahead since you know the final coords have to be within a few miles of the listed coordinates. If the listed coordinates are N40 01.234 W74 54.321, it’s a safe bet that the puzzle solution will include 40, 74; 00, 01, or 02; and 53, 54, or 55 as numbers or spelled out as words. You might also be looking for North and West. Identifying where they exist in the puzzle solution can help you solve the rest of the puzzle. Counting: Sometimes the coordinates are hidden as the number of letters in a series of words, or the number of words in a series of sentences. Many puzzles require you to go to the Internet to search for information needed to solve it. 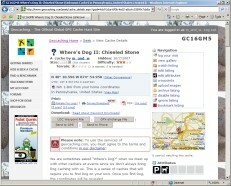 Wikipedia.org and Google.com are excellent resources that can be used to search for that information. The trick is sometimes figuring out what to search for. The cache description, hint, name of the cache listing, or even the “hidden by” will often hold clues about the technique you need to use to solve the puzzle. 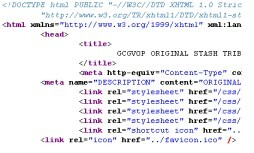 Text and comments can be hidden by the CO in the cache description. Sometimes, the can write white text on a white background making it invisible, however you may notice a suspicious blank area in the cache listing. A quick way to check for this is by using the “Select All” command in your browser. You can find the command in your browser’s Edit menu, or use the keyboard shortcut Ctrl-A. This will select the entire contents of the listing, including hidden text which will now be visible. This will get you to the part of the listing written by the CO and you can scan through the text which should match closely to the actual cache description, but will also have HTML tags sprinkled here and there. 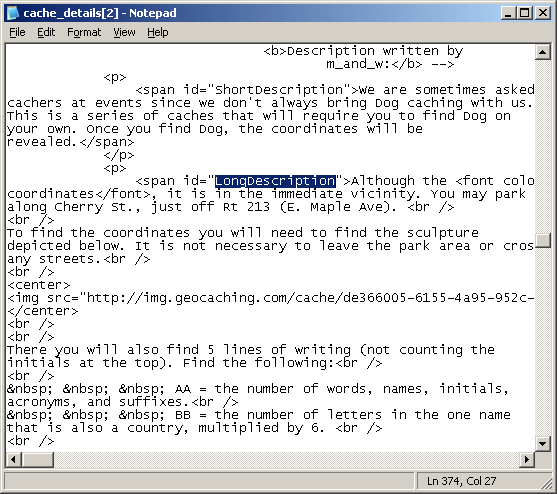 HTML comments are preceded by the sequence “<!–” and end with “–>” and will sometimes have useful information hidden there by the CO.
Geocaching.com lists coordinates in Degrees/Minutes/Decimal Minutes but there are other formats you should be aware of since puzzles will sometimes result in coordinates in an alternate format that must be converted to a form you can enter into your GPS. An excellent tool for converting between formats is FizzyCalc (for Windows) at http://www.fizzymagic.net/Geocaching/FizzyCalc/index.html. A similar online tool for converting between formats is at http://boulter.com/gps/. 1. Add up all the individual digits in your solution coordinates. For example, the sum of the digits in N40 01.234 W75 43.210 are 4 + 1 + 2 + 3 + 4 + 7 + 5 + 4 + 3 + 2 + 1 = 36. 2. Add up all the individual digits in the previous sum. 3 + 6 = 9. 3. Repeat <2> until only one digit remains. The digital root in this example is 9. If there is no mechanism provided in the cache listing to confirm your coordinates, there are a few more things you can do. Look at a satellite view of the coordinates using http://maps.google.com. Correct coordinates should not be in somebody’s yard or on their roof, or in the middle of a street. Does the location appear to match the terrain rating? If GZ is an obviously wrong location go back to the drawing board. If all else fails, send an email to the cache owner. Most cache owners will let you know if you are right or wrong and if they see you’ve spent some time on the puzzle they might even give you a free nudge in the right direction. There’s more to come. Computer codes and cryptography are next.